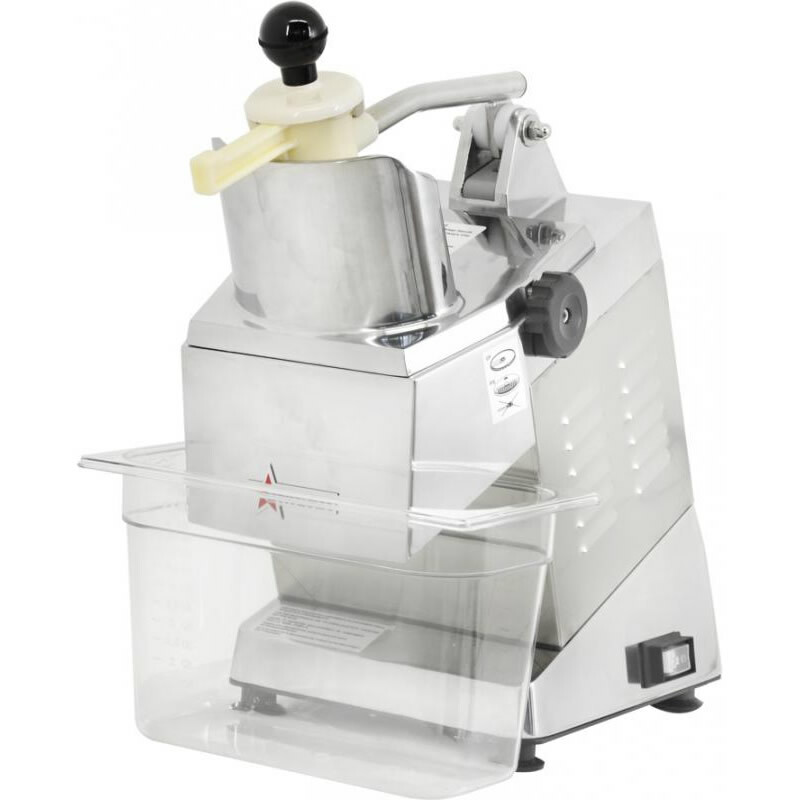 Manufacturer #: 10927 This is Omcan's .7HP vegetable cutter and food processor, a staple in their powerful line of vegetable cutting food processors (also great for any type of fruits). 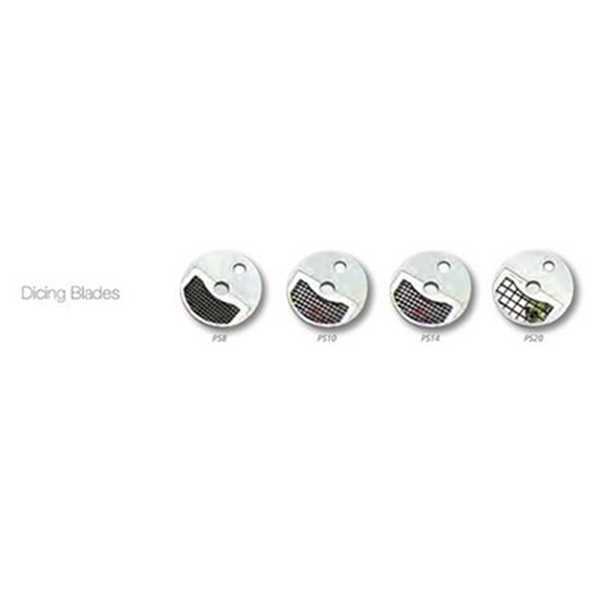 It works efficiently on angled continuous feed style and comes standard with a removable cover that you can completely remove and in turn, allows easy cleaning, maintenance and changing of cutting and other discs. There's a wide variety of discs available for use with this handy machine. 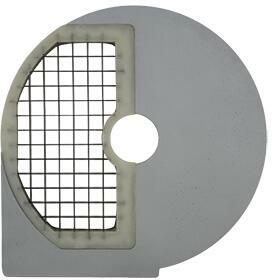 Whatever your vegetable cutting need, we have the Omcan disc for use with this processor. 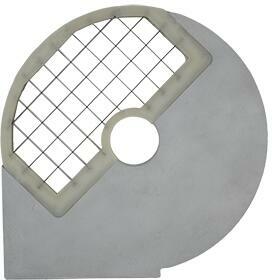 Its high power ventilated motor is specifically designed to meet all safety standards with ease. At 54 pounds it will easily fit on your counter top. 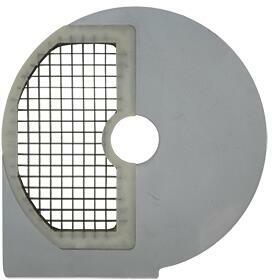 With a 6 1/4" by 3 1/16" mouth opening it will allow for efficient cutting of most fruits and vegetables. Boost the efficiency of your commercial kitchen with this quick and handy vegetable cutter from Omcan. Specifications: Model: TM Horsepower: 0.7 HP Disk Speed: 300 RPM Mouth Opening: 3 1/16" x 6 1x4" Bin Size: 5.75" x 11.75" x 7.5" Electrical: 110V/60/1 Weight: 54 lbs. Sipping Weight: 56 lbs. Dimensions: 20" x 11" x 18" Shipping Dimensions: 29" x 14" 20"
Manufacturer #: 10834 This is Omcan's largest bowl style food processor (Model C-9VV) in Omcan's outstanding line of C model bowl style food processors. 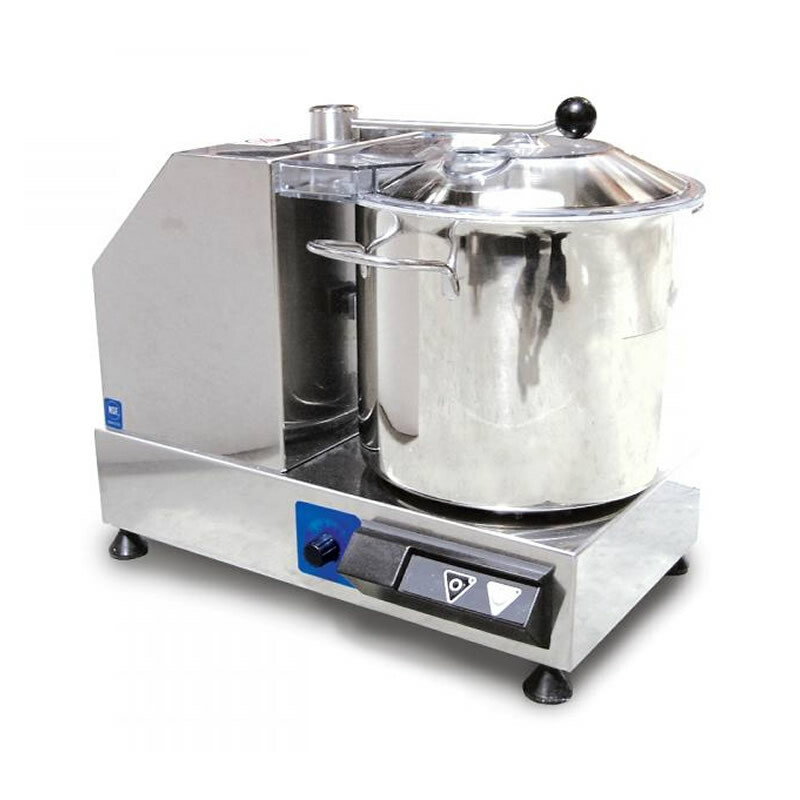 Its dual .5HP motors with variable control are ideal for mincing, chopping and pureeing a wide variety of foods without impacting the quality or taste of the your food. 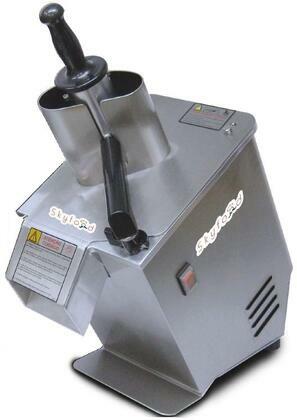 With a 9 quart (2 1/4 gallon) capacity, this efficiency boosting food processor is very simple, quick and easy to clean. The bowl and knives are made of stainless steel. 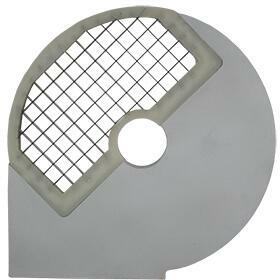 Like the other larger bowl style food processors from Omcan, its body is made of stainless steel. All lids feature safety switches. A great value in a 9 qt bowl style food processor and an efficiency boosting machine that will help you get your mincing, chopping and pureeing jobs done in a flash. Specifications: Model: C-9VV Horsepower: 2x0.5 HP Capacity: 90 QT Electrical: 110V/ 60/1 Weight: 58 lbs. Sipping Weight: 66 lbs. Dimensions: 17.75" x 11" x 15.75" Shipping Dimensions: 30" x 16" x 22"
Manufacturer #: 10830 This is Omcan's smallest bowl style food processor (Model C-1) in Omcan's outstanding line of bowl style food processors. 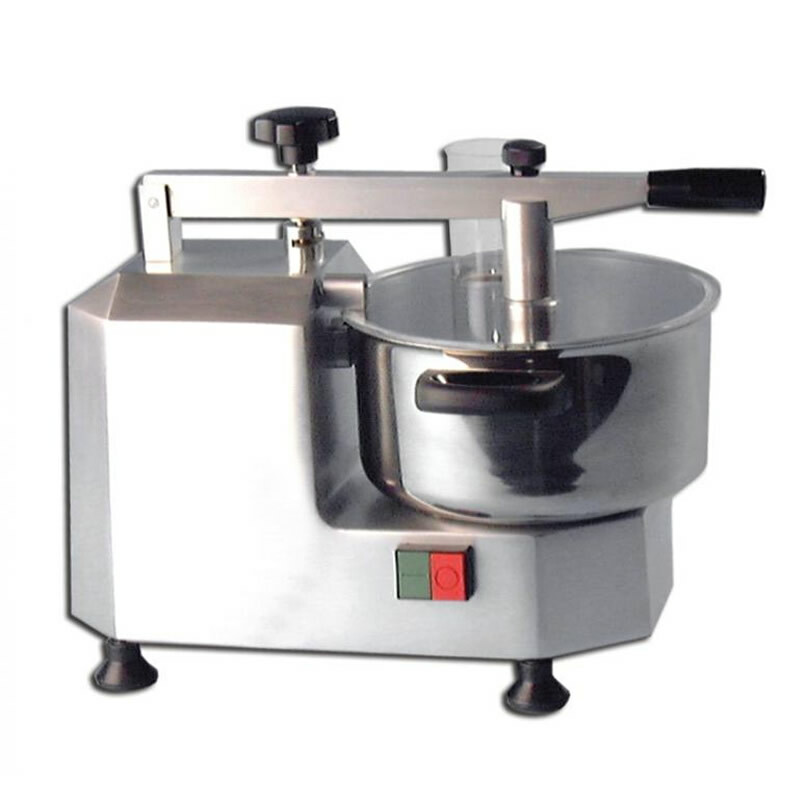 Its .4HP motor is ideal for mincing, chopping and pureeing a wide variety of foods without negatively impacting the quality or taste of the your food product. With a 3 quart (3/4 gallon). 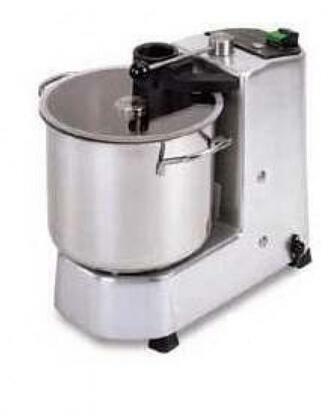 capacity, this efficiency boosting food processor is very simple, quick and easy to clean. The bowl and knives are made of stainless steel. The C-1 features an anodised aluminium body which differs from the other Omcan food processors in the line which are made of stainless steel. All lids feature safety switches. A great value for the money and an efficiency boosting tool that will help you get mincing, chopping and pureeing jobs done. Specifications: Model: C-1 Horsepower: 0.4 HP Capacity: 3.0 QT Electrical: 110V/ 60/1 Weight: 28 lbs. Sipping Weight: 35 lbs. Dimensions: 21" x 10" x 11.5" Shipping Dimensions: 24" x 15" x 15"
Manufacturer #: 10832 This is Omcan's second smallest bowl style food processor (Model C-4) in Omcan's outstanding line of bowl style food processors. 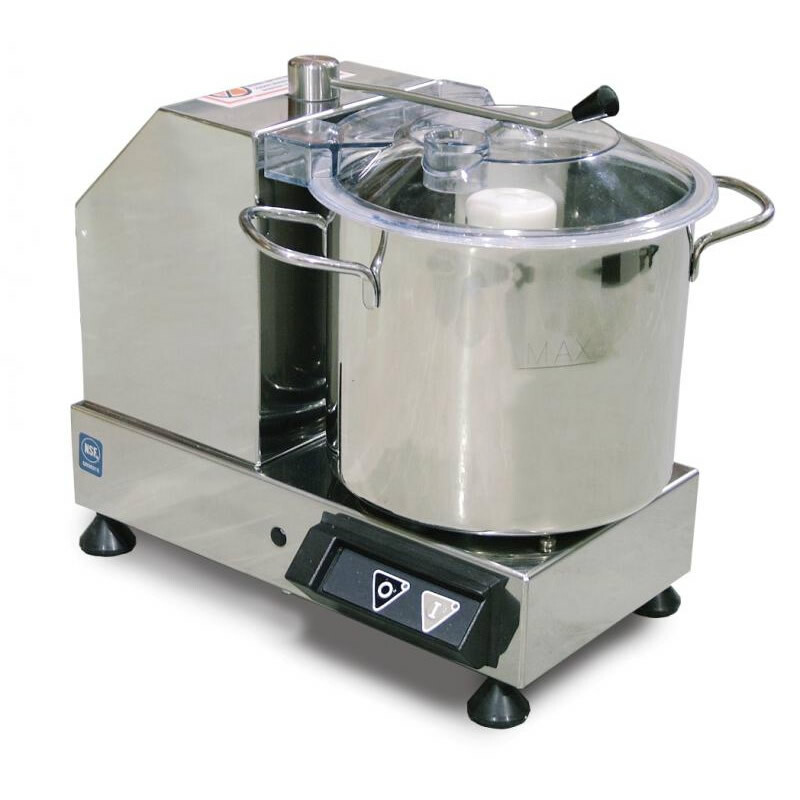 Its .5HP motor is ideal for mincing, chopping and pureeing a wide variety of foods without impacting the quality or taste of the your food product. With a 3.5 quart (7/8 th's of a gallon) capacity, this efficiency boosting food processor is very simple, quick and easy to clean. The bowl and knives are made of stainless steel. Like the other larger bowl style food processors from Omcan, its body is made of stainless steel. All lids feature safety switches. A great value in a 3.5 qt bowl style food processor and an efficiency boosting machine that will help you get your mincing, chopping and pureeing jobs done. Specifications: Model: C-4 Horsepower: 0.5 HP Capacity: 3.5 QT Electrical: 110V/ 60/1 Weight: 28 lbs. Sipping Weight: 35 lbs. Dimensions: 15.75" x 13" x 11" Shipping Dimensions: 18" x 16" x 12"
Manufacturer #: 10833 This is Omcan's mid size bowl style food processor (Model C-6) in its outstanding line of bowl style food processors. 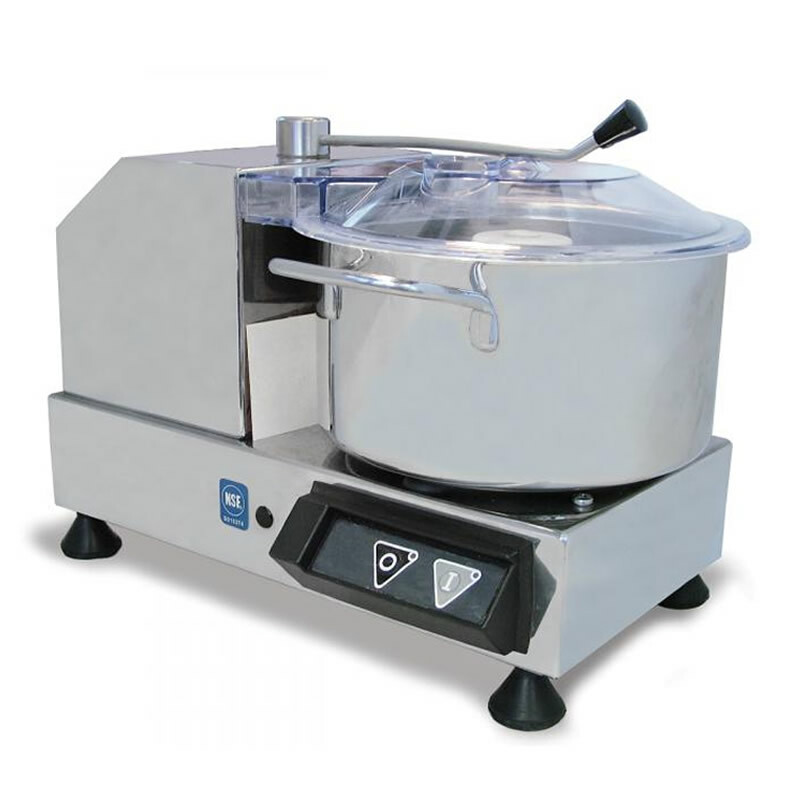 Its .5HP motor is ideal for mincing, chopping and pureeing a wide variety of foods without impacting the quality or taste of the your food product. With 5.5 quart (1 3/8 th's of a gallon) capacity, this efficiency boosting food processor is very simple, quick and easy to clean. The bowl and knives are made of stainless steel. 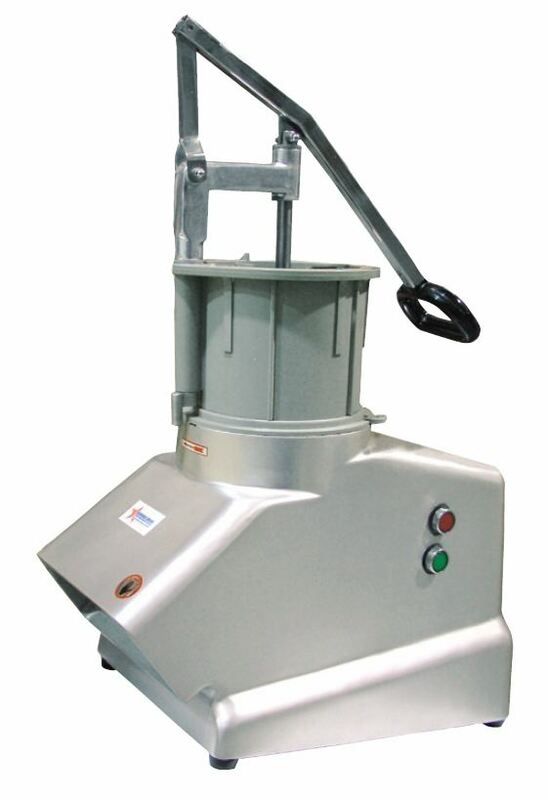 Like the other larger bowl style food processors from Omcan, its body is made of stainless steel. All lids feature safety switches. A great value in a 5.5 qt bowl style food processor and an efficiency boosting machine that will help you get your mincing, chopping and pureeing jobs done quickly and easily. Specifications: Model: C-6 Horsepower: 0.5 HP Capacity: 5.5 QT Electrical: 110V/ 60/1 Weight: 30 lbs. Sipping Weight: 36 lbs. Dimensions: 16" x 13" x 13.75" Shipping Dimensions: 20" x 16" x 18"